Ahead of the annual congregation of entrepreneurs, visionaries, and innovators at Techweek Chicago, we’ll talk with Techweek CEO Katy Lynch about what to expect this year and how the weeklong event has rebounded from last year’s snafu involving controversial party invites. 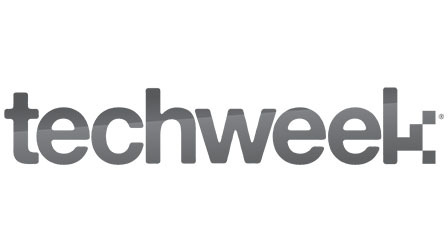 Last month, Techweek named Chicago social-media expert Katy Lynch as its CEO. The company says this is a major step in advance of the Chicago conference that set off a firestorm on the issue of women in tech last year. We’ve compiled some things you should know about the new CEO. Lynch’s first job in Chicago was overseeing social media and marketing for Where I’ve Been, a travel website and social platform that lets users share where they’ve been around the world. When the website sold to TripAdvisor in 2010 for $3 million, Lynch started her own business: SocialKaty, a media marketing agency that helped startups launch digital campaigns. By the time she sold the company in 2014, she had 25 full-time employees and 60 clients. Since then, Techweek has worked on making the events more women inclusive. The organizers are working with women’s groups in each market and are growing the number of women presenters. Jellyvision CEO Amanda Lannert, who served as a speaker at Techweek in the past, told the Chicago Tribune that Lynch’s skills, grace and penchant for transparency make her a good fit for the role. “Strip away her gender, it’s still a smart hire,” Lannert said.